The internet desperately needs a “floor refinishing for dummies” site! 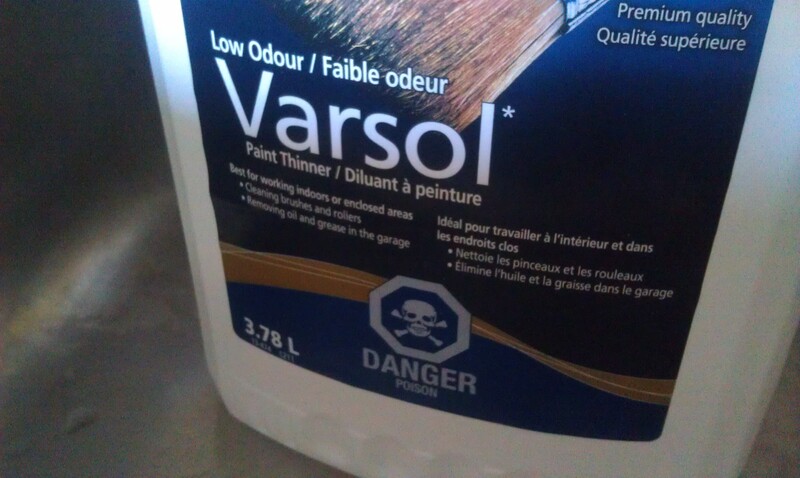 After spending way too many hours reading up on hardwood floors on the internet (as you are probably doing now), there is a giant need for this subject to be “dumbed down” for the average DIYer getting ready to embark on refinishing their hardwood floors. I have learned that there is no “right way” or “wrong way”. Only professionals arguing with each other online as to what works and what doesn’t. 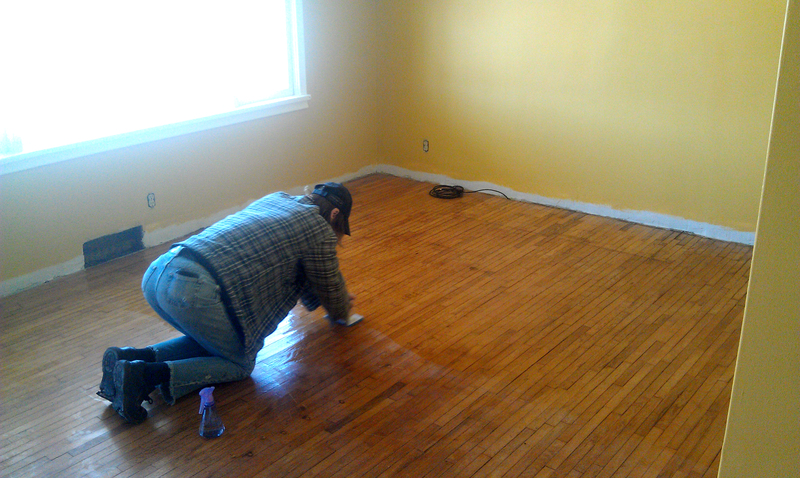 Every floor is different, and every refinishing job is different based on the people that are going to be walking on it! What we found under looked like perfectly preserved hardwood floors!! This was going to be a breeze…..or was it? The floors were covered in wax. We planned on sanding down to bare wood and restaining a dark walnut. 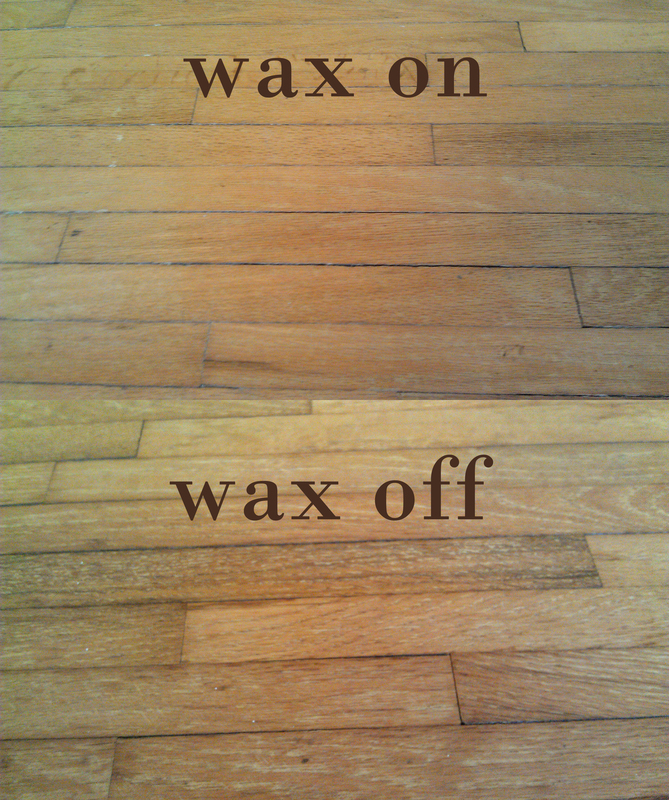 After some (lots) of research, I learned that wax can be the devil when it comes to sanding out your floors. If you try to sand it off, it will gum up the sandpaper, costing a fortune in the long run. You can also push the wax into the wood grain, making it impossible to stain as the wax will reject it. This became a really scary project. 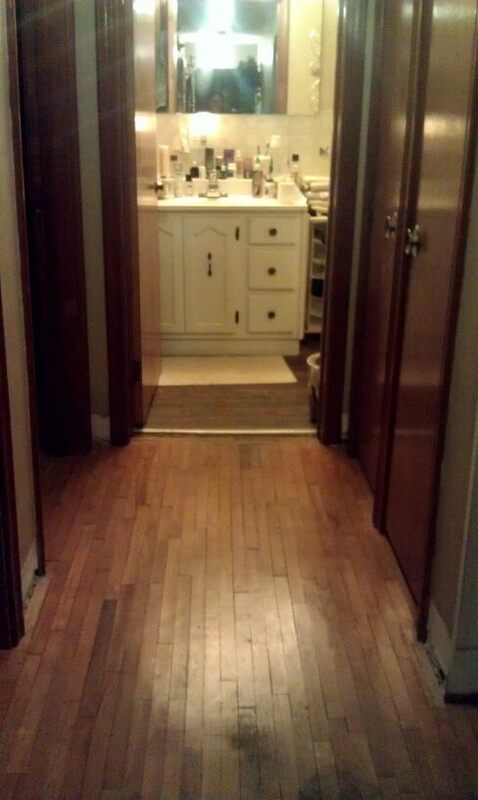 I didnt want to have to carpet over again and was already in love with the hardwood floors. So to save you a ton of research (which I have done for hours), just get on your hands and knees and scrub the wax off with varsol (mineral spirits) using a spray bottle, rag and some very fine steel wool. You will see a nice orange goo come off. Spray the floor, let it sit for a couple minutes, then give it a scrub with the steel wool. Wipe up with the cloth until there is no residue left. This is what we used to remove the wax from the floors. Worked like a charm! We scrapped the floor twice. They probably could have been done three times, but there is only so many hours one can spend time on their knees scrubbing a floor, and we had the living room, dining room and halway to do. You can see the difference below. Wax on…..wax off!! After we finished, we washed the floors twice with TSP and then twice again with warm water until the water came out clear (ish). 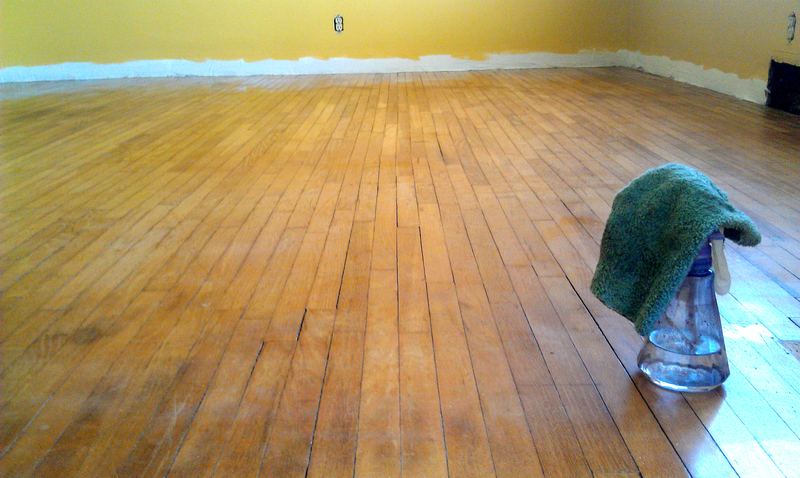 Floors are now ready to be sanded!